After a nice, lazy, gentle day – on my part! 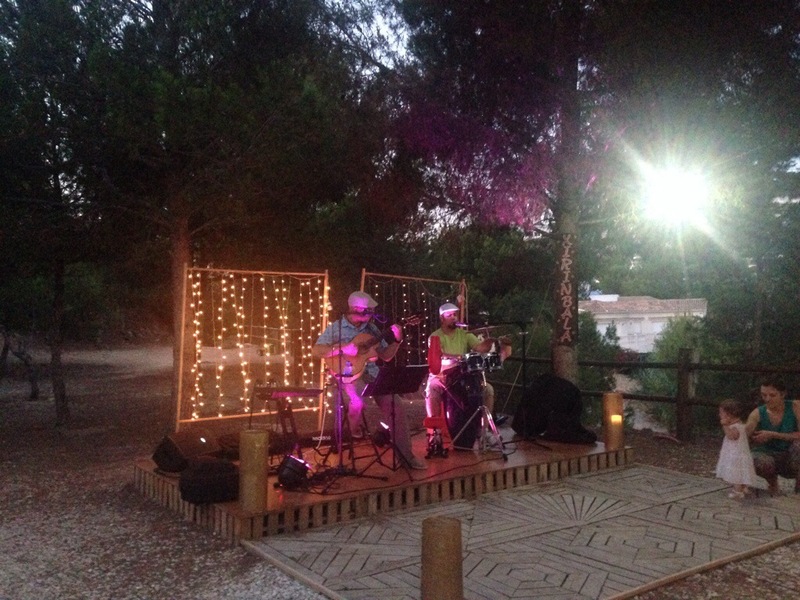 – things livened up for the evening with a drive down to Moraira on the coast for a supper of tapas in a chiringuito and some live music. 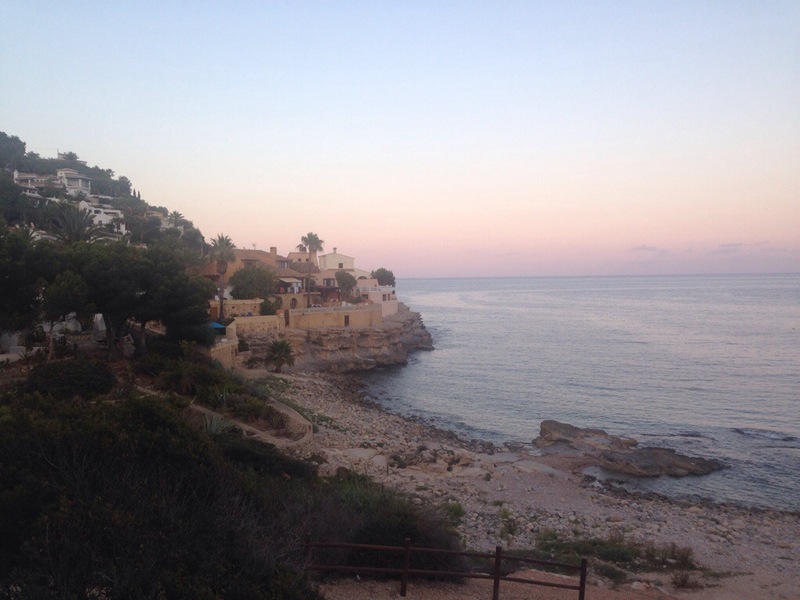 Chiringuitos are traditional beach bars and this one was perched on the edge of a cliff with wonderful views as the evening sun went down leaving a faint tint of pink colouring the sky. Linda warned me it was all very simple – the cafe, only there for the high summer season and closed most of the year, is a simple shack. The food likewise would be simple and far from gourmet but the setting was lovely and live music would be fun. 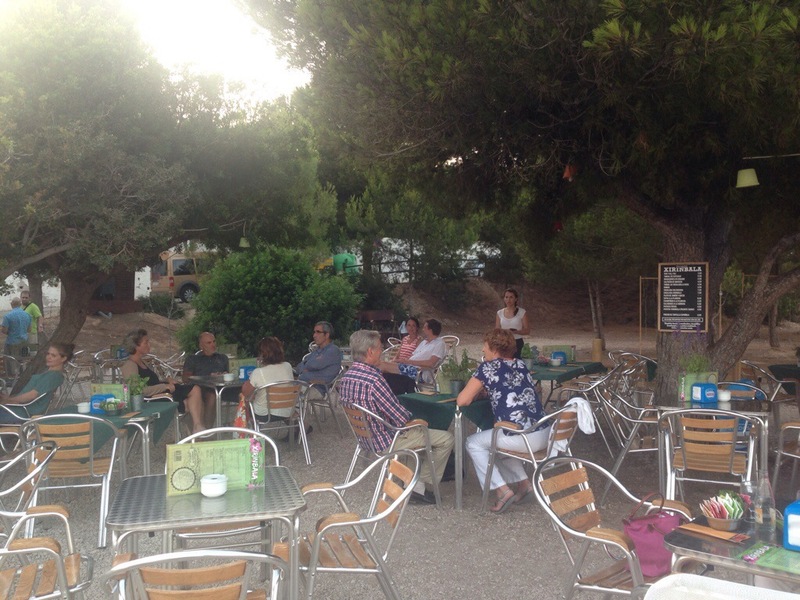 The music was due to begin at 9.30 so we arrived at 9.00 and managed to get drinks and a selection of tapas ordered before the cafe filled up. 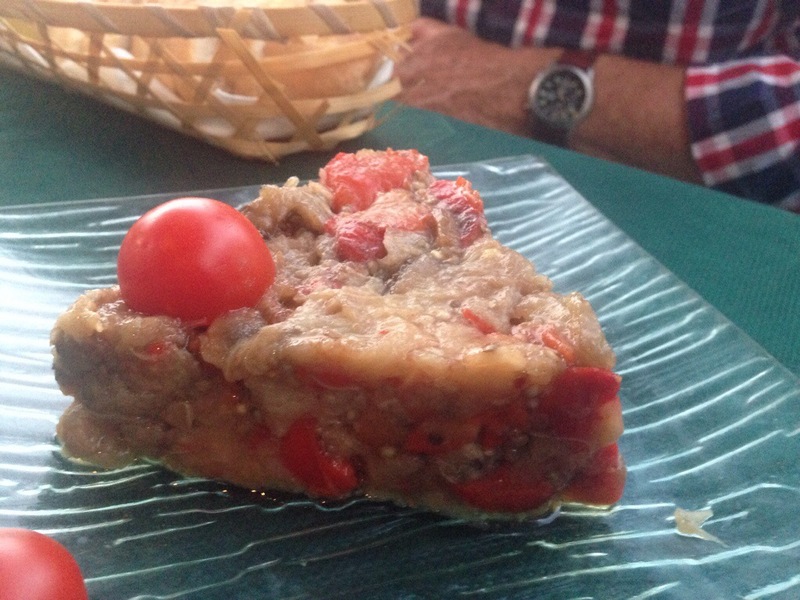 A timbale of aubergine, peppers and onions was particularly tasty; the aubergine has a nice smokey flavour. 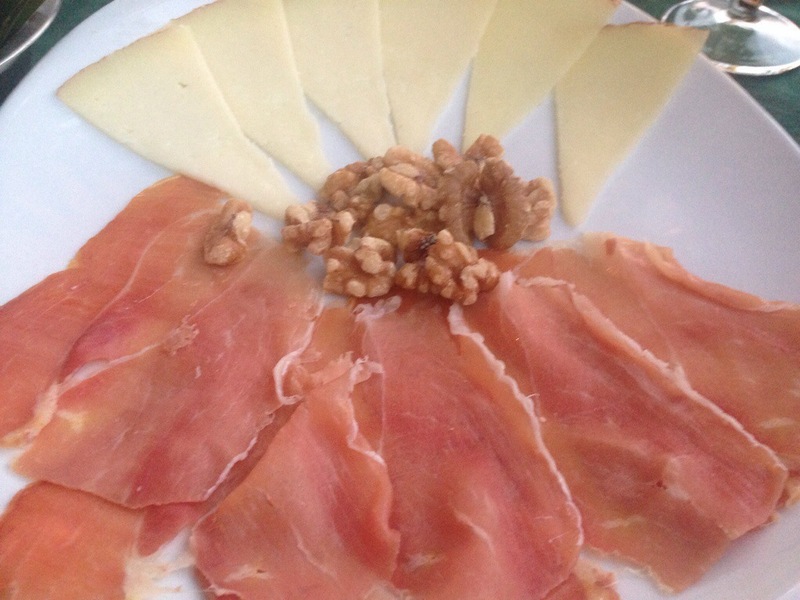 We had bread and alioli, chips with chilli sauce, tortilla and a plate of Spanish ham and cheese. The red wine was served very chilled, which was perfect in the warm air. 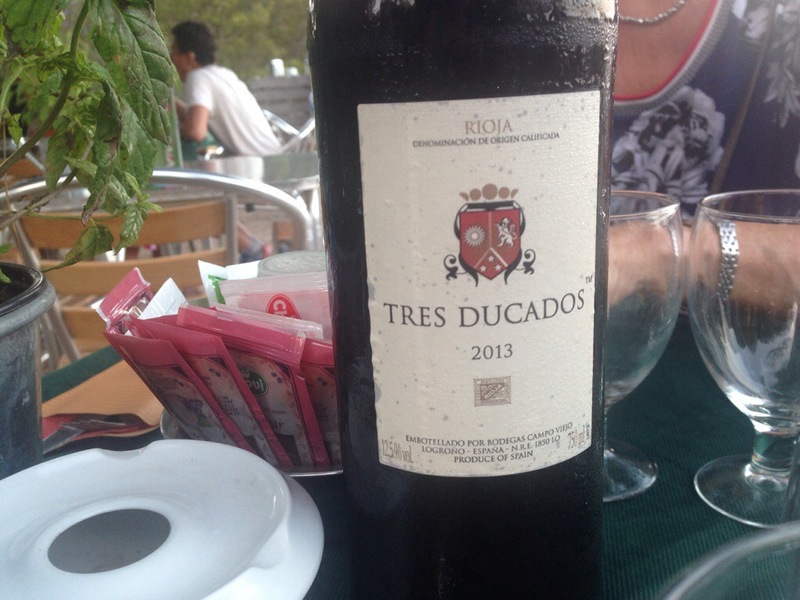 It’s quite common for red wine to be served cold in hot countries or even in the Loire in France and with the right grape and wine, I like it. 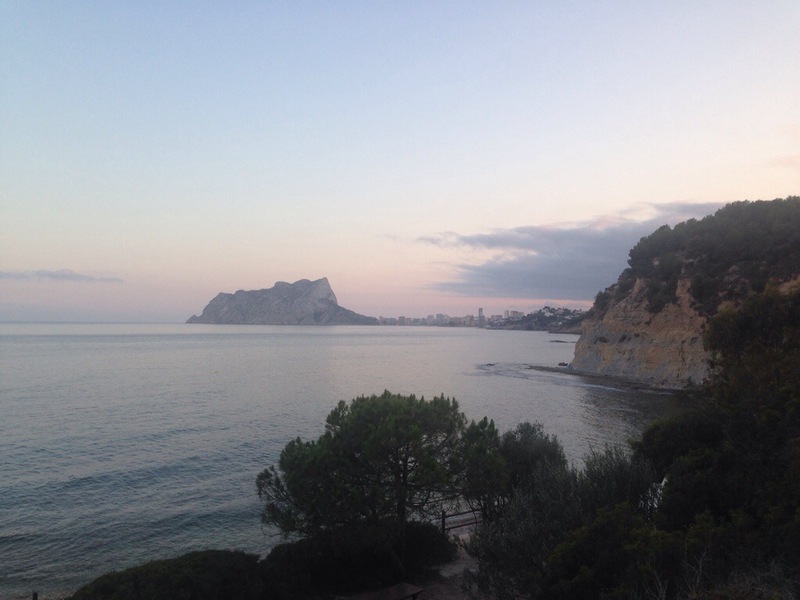 We were surrounded by many nationalities – Spanish of course, Germans and Dutch – and our waitress was from Bolivia. When the two Cuban musicians started playing I was momentarily transported to fabulous Havana – one of the most exciting places I’ve been to. George, the musician amongst us, was impressed by their skills. The music was great. There were some inevitable well known tracks from the infamous Buena Vista album but plenty of other popular Latin numbers. As the evening wore on they encouraged people to get up and dance and played some salsa music. It was all great fun; a party atmosphere and a really good evening. It was getting on for midnight when we left. Luckily for Linda and George, this is a regular event on Saturdays and Mondays in the summer; sometimes the music is jazz. 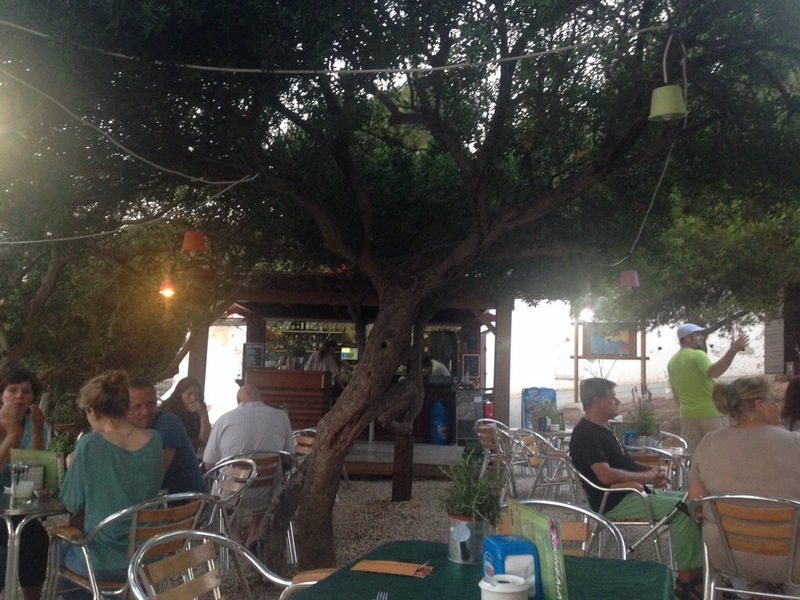 If I lived here I’d be down to the little chiringuito every week!